A healthy employee is a happy employee. Many companies now recognise employees as their most important asset. They have also realised that by focusing on employee wellness they not only improve their market reputation but also levels of employee engagement and productivity, which positively impacts their bottom lines. There are various workplace initiatives taking place across the UAE to promote and support a healthier lifestyle, from offering guidance on healthy eating, sleeping, and exercise to free health check-ups. 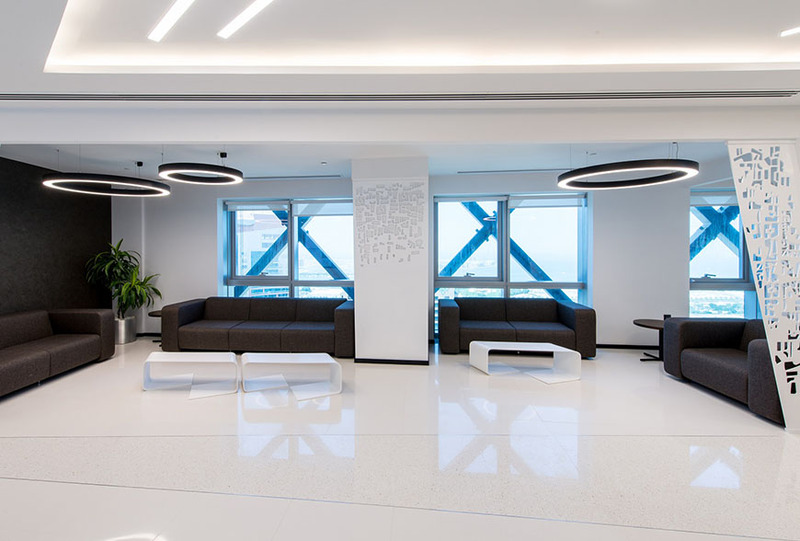 As a fit out contractor in Dubai specialised in green interiors, Summertown Interiors is encouraged to see more companies rethink the way they carry out their office fit out in Dubai in order to promote and support a healthier lifestyle for their employees. There is, however, an issue which is often overlooked: indoor air quality. Although a survey by the Environment Agency Abu-Dhabi shows that people are significantly more aware of the importance of air quality, with awareness rising from seven per cent in 2013 to 90 per cent in 2014, the issue of indoor air quality goes largely unnoticed. This is most likely due to a misconception that while the air is polluted outside, we are safe once inside our homes or offices. The truth is indoor air can be two to five times more polluted than outdoor air, some alarming news considering we spend 90 per cent of our time indoors. What exactly makes the indoor air so bad? Among the pollutants in an office are chemical emissions coming from conventional building materials, furnishings, cleaning products, paints or even office products such as printers, mould and poor ventilation. The latter is particularly relevant to the UAE, where access to fresh outdoor air is not possible most of the year, making us dependent on air conditioning systems. Having the right ventilation system design at the time of construction and, an operation and maintenance policy that is adhered to will help to monitor the supply of fresh air. At Summertown’s LEED Gold certified showroom, sensors have been installed in closed meeting areas to ensure fresh air is pumped in when carbon dioxide levels are high. In this way, we have been able to provide 30% more fresh air in our offices than ASHRAE standards. To improve air quality, the countless toxins found in our indoor environment—such as formaldehyde, VOCs (volatile organic compounds), trichloroethylene, carbon monoxide and benzene, to name just a few—must be reduced as much as possible. Besides having a proper ventilation system, this can be done by using green certified fit out products and materials with low or no VOC levels, proper housekeeping, and by making sure the office occupancy quote does not exceed standards in workspace design. Adding office plants has long been a solution for improving indoor air quality and recently we have seen an increasing interest in adding green walls, which are panels of plants grown vertically using hydroponics on structures that can be either free-standing or attached to walls. Not only does this improve air quality, it also provides a visual break, which studies suggest stimulates mental alertness for its occupants.